The new TubeJet dust collector handles carbon black, titanium dioxide and other fine powders vented from mixers. 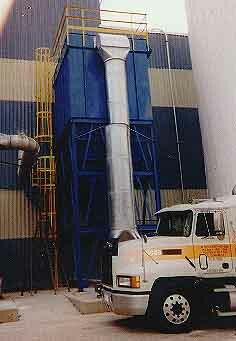 SLY, Inc.eJet dust collector handles carbon black, titanium dioxide and other fine powders vented from mixers. These collectors offer "no tool" top removal of filter bags and a convenient walk-in clean air plenum for easy maintenance and bag changing.